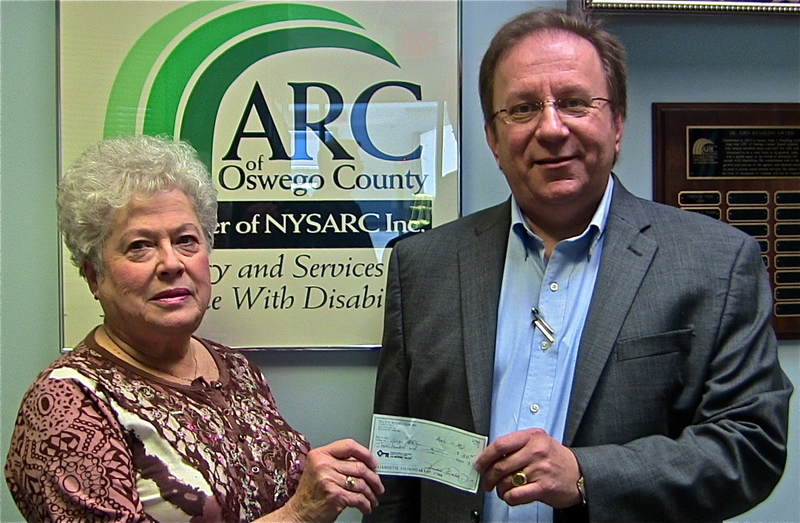 On April 25, 2013, Judy Young, from the Fulton Rotary Club, presented Michael Szpak, Executive Director, with a check for ARC of Oswego County’s Membership Drive. 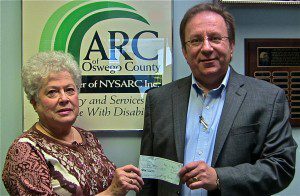 For more than 60 years, through the support of our members and the hard work of our committed staff, ARC of Oswego County has provided care, advocacy and specialized programs and services to more than 2,000 people with intellectual and other developmental disabilities in Oswego County. Thank you to our sponsors…..
KeyBank Foundation Presents Check to Oswego Industries, Inc.
BACK BY POPULAR DEMAND….HOG WILD JAM!!!! Welcome to The Arc of Oswego County!